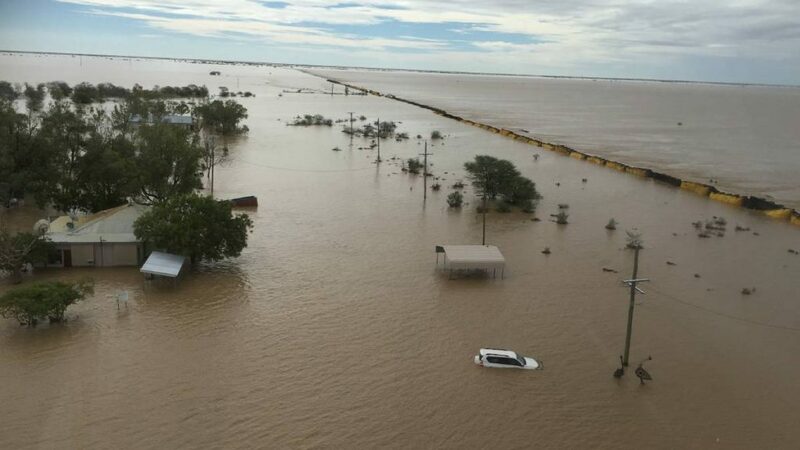 PRIMARY producers affected by last month’s devastating flood event in North Western Queensland will be able to access grants $400,000 under new assistance measures unveiled by Prime Minister Scott Morrison this morning. Locally operated family holdings will have access to a maximum of $400,000 through two grant programs – one for restocking and replanting, and the other to replace on-farm infrastructure lost and damaged during the flood. Farmers will contribute 50 per cent of the total cost, and the Morrison Government, through the grants, will provide the remainder up to $400,000. Mr Morrison said the grants mean primary producers will have access to cash to start rebuilding their farm businesses when the time is right. “This seed funding is about helping people get back on their feet faster,” he said. The dollar-for-dollar disaster recovery grants announced by the Federal Government will change the lives of thousands of cattle and sheep producers and offer hope to an industry suffering from a decade of disaster. AgForce General President Georgie Somerset welcomed the grants of up to $400,000 per farm business as being “just what producers needed” to get the devastated North Queensland cattle industry back on its feet. “Unprecedented natural disasters – drought then flood – have placed enormous strain on cattle producers and their families,” Mrs Somerset said. “In the worst cases, producers have lost literally everything – livestock, fencing, machinery and homes – with the crippling cost of recovery in the millions of dollars. “I can assure the Federal Government that its $300 million investment in the reconstruction of this hard-working and highly productive industry will be appreciated and well-used by farmers, in some cases turning their lives around. “Graziers are a very proud bunch, so the fact that these grants are matched dollar for dollar means they are not a handout but a much-needed hand up. The Federal Government grants are in addition to the State Government’s disaster loans of up to $250,000 at the concessional rate of 1.37% p.a. announced by Premier Annastacia Palaszczuk earlier this month. AgForce‘s North Queensland Board Member, Longreach grazier Dominic Burden, said the flexibility of the grants made them so much more effective, providing hope and the ability to plan for the future, not simply replace what was lost. “The grants can be used for restocking, replanting or replacing infrastructure and equipment, so it means that each farm business can make their own decision as how to best apply the grants to support their recovery,” Mr Burden said. Mrs Somerset praised both the Federal and State Governments for their long-term commitment to the reconstruction. “We commend both levels of Government for working closely with AgForce and the local Councils from the earliest hours of the disaster to develop a comprehensive, long-term solution that will work,” she said. “We primary producers are a resilient bunch, used to dealing with almost any adversity, but the devastating floods after years of drought have really knocked the industry around and it will take years if not decades to fully recover. “There is no doubt that AgForce‘s role in helping Government understand the scale and implications of the disaster, and how assistance could best be delivered, is evident in the recovery measures that have been announced. AgForce has established a multi-disciplinary liaison committee chaired by Mr Burden that will feed information and advice directly to Shane Stone and the North Queensland Livestock Industry Recovery Agency (NQLIRA) to ensure valuable resources are most effectively and efficiently applied. This is a great initiative with immediate and positive impacts for those in the region affected by the unprecedented flood event in NW Qld. Anyone or organisation which criticises this assistance should research the background of $375m being granted by a Labour government years ago, for questionable reasons, to the failing Kodak company in Melbourne. Which eventually failed anyway. Why is it the flooded township of Nelia and the train derailment Are widely used as the pinnical of this devastating occurrence and yet the people of Nelia especially the two remaining residents who sheep,goat and freerange egg& chicken producers have received little or no assistance at all? A little fairness and some common decency would Go along way to assist with mental health and basic living conditions. The fact that we are not cattle producers,does not mean we have not suffered or have not been apart of this catastrophic event. Here’s hoping someone out there has some commonsense & respect for those not part of the greater majority!